Our goal is to provide a warm and welcoming summer home for our campers, so they can happily thrive and grow during their time at camp. The right cabin life is critical to this experience. Kohut’s wood cabins form two rows on the boys’ and girls’ sides of the bunk line, with grassy lawns in between. Our cabin area feels like an inclusive and picturesque neighborhood. Each cabin has a charming porch with benches for conversation, reading, quiet games or relaxing. The lawn is often filled with campers and counselors playing games and having fun together. Although they vary slightly in size and shape, a typical cabin houses between eight to twelve campers and three to four counselors, which is a perfect number of potential friends without getting lost in the crowd. 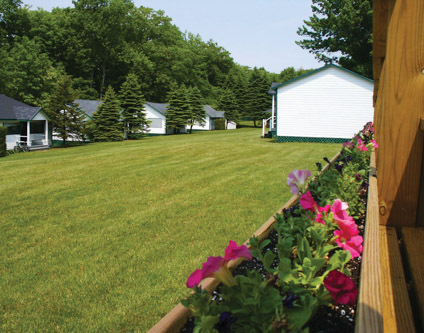 Cabin assignment is carefully done with consideration for a camper’s grade, age, interests and personality. Regardless of cabin size and location, all campers sleep in single “cot sized” beds (not bunk beds). Beds are assigned before the campers arrive, as Lisa and the winter team take a lot of time and care to ensure everyone is placed correctly in the cabin both from a practical standpoint (with consideration to requests for nightlights, windows, near bathrooms, etc.) and a social standpoint (matching up campers in the bunk who have particularly similar interests, or putting specific children closer to counselors, etc). Upon arriving at Kohut, campers will find his/her name and schedule for the first week posted just above the right bed. Specific times during the day are set aside for cabin time, including Clean Up, Rest Period, and Evening Activity. These designated bunk times and activities complement the individualized daily schedule, to ensure close friendships and bonds within cabin groups. Staff Orientation training includes specific strategies for proactively promoting a warm, comfortable and fun cabin atmosphere. Counselors help campers get to know each other, be inclusive, show respect for each other, appreciate and tolerate differences, and facilitate friendships. On a practical note, they also help campers with everything from making a bed, selecting activities, and coping with homesickness or other adjustment challenges. 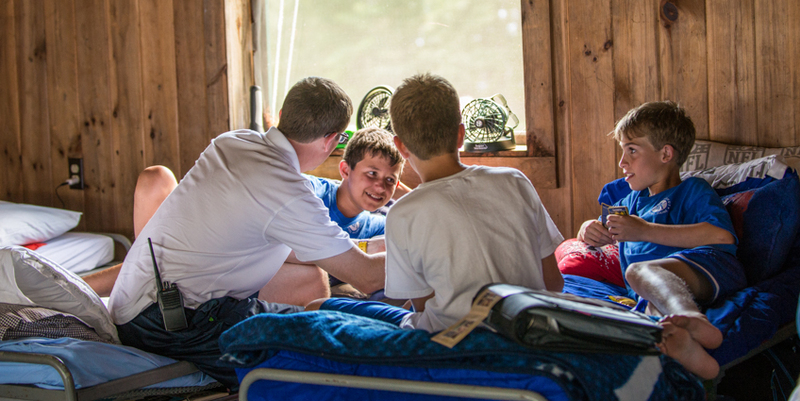 Our directors and leadership team are closely involved with cabin life, regularly going in and out of the cabins, connecting with campers and staff to ensure a kind, comfortable, and happy cabin environment. We are very proud of our cabin life and the friendly and comfortable Kohut atmosphere.